Putting this up as I thought it might be of some interest, with links to restoration of iconic transport and the RAF. 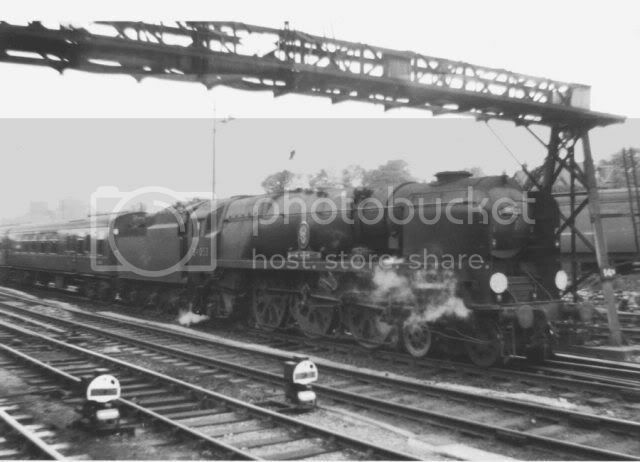 My father has been a lifelong fan of steam locomotives. Now in his retirement he's devoting more time to his passion. Short version of a long story, my grandfather (Mum's side) passed away in 2007 and left my father a small amount of money specifically. 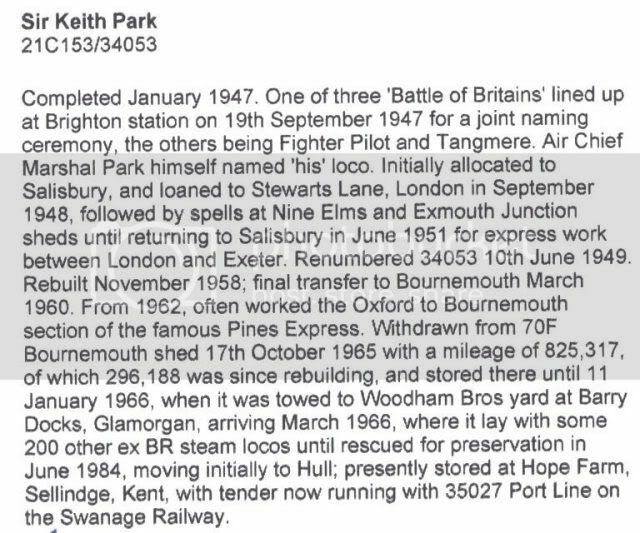 My father then found out about a loco which was planned to be restored called 'Sir Keith Park'. This linked his passion of steam locos and the fact my grandfather served in the RAF, so as a memorial to him - he bought some shares in Southern Locomotives to help finance the restoration. 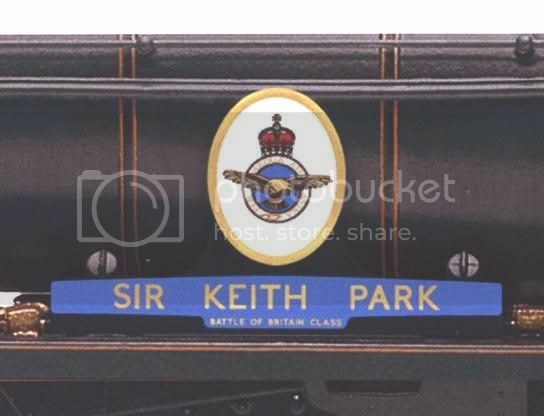 The following will be updates my father sends to me on the restoration of a fabulous steam locomotive, and the only real tribute to Sir Keith Park, a rather neglected hero of the Battle of Britain. 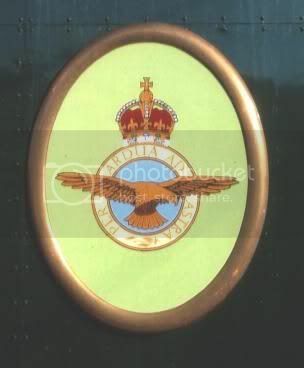 Named after Air Chief Marshal Sir Keith Rodney Park GCB; KBE; MC and Bar; DFC; RAF (15th June 1892 – 6th February 1975. He was born in Thames, near Auckland, New Zealand, the son of a Scottish Geologist, Professor James Livingstone Park and his wife Frances. Keith Park joined the New Zealand Artillery when war broke out in 1914, transferring to the Royal Artillery in 1915 and served in France for twelve months. In 1916 (after being wounded on the Somme and classed as ‘unfit to ride a horse’) he applied for a pilot’s position in the new ‘Royal Flying Corps’ (RFC). This was accepted and after flight training, he joined 48 Squadron in July 1917. He finished the war, still with the RFC and was at the ‘birth’ of the ‘Royal Air Force’ in 1918. In the First World War, Keith Park was an ace fighter pilot and took part in the ‘Gallipoli Campaign’ and the ‘Battle of the Somme’. 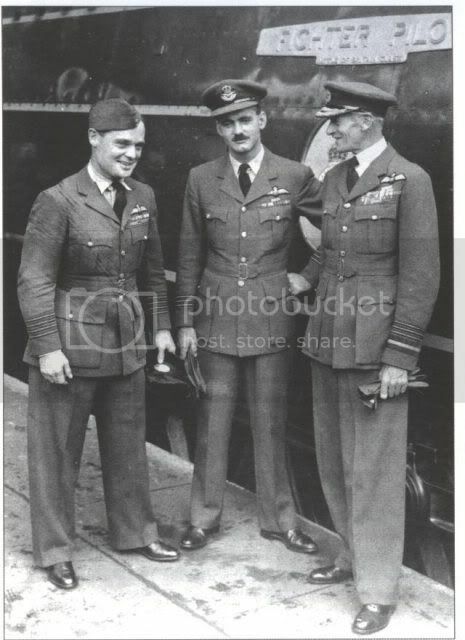 During the Second World War, he was Senior Commander in the Royal Air Force and was in tactical command of two of the most significant air battles – the ‘Battle of Britain’ (1940; where he was in command of No 11 Group RAF) and the ‘Battle of Malta’ (1942 – 1943). In 1945, under Mountbatten, he was Allied Commander-in-Chief of South East Asia. Keith Park served in the Royal Air Force between 1911 and 1946. ‘If any one man won the Battle of Britain, he did. I do not believe it is realised how much this one man, with his leadership, his calm judgement and his skill, did to save, not only this country, but the world’. Despite this, there is still (at the time of writing) no widespread recognition or memorial to Sir Keith Park – apart from ‘Keith Park Crescent’, a residential road near the former RAF Biggin Hill and a Southern Railway ‘Battle of Britain’ Class Locomotive (21C153/34053) ‘Sir Keith Park’ which was named, by Sir Keith Park, at Brighton Station, in 1948. 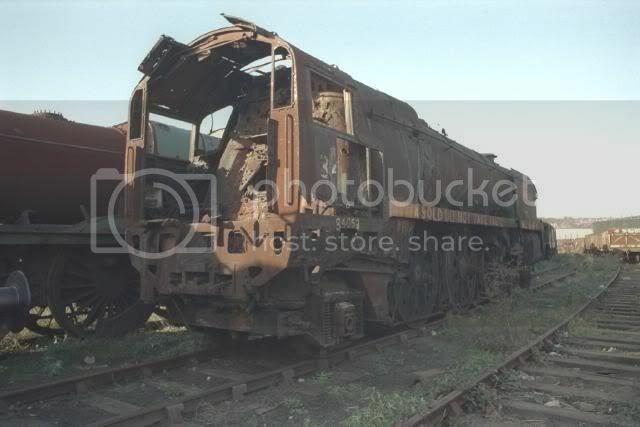 This locomotive was withdrawn from service in October 1965 and was left to languish in a South Wales scrap yard (together with some 200 plus other locomotives) from 1966 until 1984. Fortunately, ‘Sir Keith Park’ (and most of the other locomotives) escaped the cutters torch and was moved to various locations where, ultimately it became a ‘donor’ of spare parts for similar locomotives undergoing restoration. Ultimately, ‘Sir Keith Park’ (by now a rusting ‘hulk’, devoid of most components) was rescued by Southern Locomotives Ltd (who own, restore maintain and operate steam locomotives) in December 2000 for ‘future’ restoration. However, following an article about Sir Keith Park in the ‘Financial Times’ on 15th September 2007 (‘Battle of Britain Day’), interest was awakened and sufficient initial funds were made available to ‘jump the queue’ and begin restoration. Designed by: Oliver Bulleid (Chief Mechanical Engineer for the Southern Railway) who originally designed the heavier ‘Merchant Navy’ Class of Locomotive (1941) when the Southern Railway, with War looming, was in need of more powerful locomotives. However, these were only suitable for certain routes. 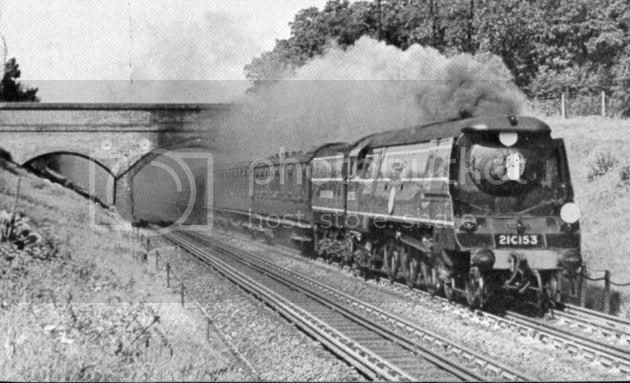 When the War was over, the ‘West Country’ Class and ‘Battle of Britain’ Class ‘Light Pacifics’ were introduced (1945) as ‘go anywhere’ locomotives. i have so much respect for those dedicated souls who rescue such vauable pieces of our heritage, and bring them back to life for the benefit of future generations. being an aviation fan regularly seems to go 'hand-in-glove' with being a steam fan - i think it must be that these incredible machines seem to have an actual character and personality of their own. Location: up to my neck in it! Thank you Mayfly, that's great news! At last it's in 'black & white' that finally there will be a permanent memorial to Sir Keith Park. great news indeed - i do hope that it gets as much publicity as possible; our children really ought to know as much about 'the few' and their 'finest hour' as they seem to know about David Beckham! 34053 wrote: Thank you Mayfly, that's great news! At last it's in 'black & white' that finally there will be a permanent memorial to Sir Keith Park. That's great news. About time we paid tribute to the people who gave us the right to say what we want. Except we can't anymore thanks to all the soft loonies out there. These people are important to our heritage and made us what we are, and so should not be forgotten. Thanks again to Mayfly for the info' on the memorial statue for Sir Keith Park. I understand also that it is likely that, once the statue situation is finalised, there could be some interest from the 'SKP Memorial Campaign' in also supporting the restoration of the 'Sir Keith Park' Locomotive. (Southern Locomotives Ltd who are carrying out the Restoration have, in turn, already been giving their support to the Memorial Campaign). See www.southern-locomotives.co.uk for more info' on SKP and other SLL restorations, etc. A little bit of trivia: 'Did you Know?' In this Country, railway distances are still given in 'miles' (m) and 'chains' (ch). One 'chain' is 22 yards (the length of a cricket pitch) and there are 80 chains in a mile. ('Not many people know that!'). Another little bit of trivia. 'Did you know?' [No 2]: In the 1969 Film 'Battle of Britain', the part of Keith Park was played by Trevor Howard. (Who? some of you may ask. You probably have to be of a 'certain age', but he is well known for many films, including 'Brief Encounter' [a 'steam train' themed Film] that was mainly set at Carnforth Railway Station. ('Not many people know that!). Last edited by 34053 on Mon Nov 10, 2008 5:41 pm, edited 1 time in total. 34053 wrote: A little bit of trivia: 'Did you Know?' In this Country, railway distances are still given in 'miles' (m) and 'chains' (ch). One 'chain' is 22 yards (the length of a cricket pitch) and there are 80 chains in a mile. ('Not many people know that!'). I used to have a lot to do with an abandoned canal tunnel which still had chain markers on the wall. it just sounds so much better in imperial measurements! 34053 wrote: ('Not many people know that!). 34053 wrote: ('Not many people know that!'). The refurbished frames for 'Sir Keith Park' are due to arrive at Herston works by the end of the month. The driving wheels have been 're-tyred' and it is hoped to re-wheel the frames in March 2009. Meanwhile, work continues on the tender (which is being built new, from scratch). The frames are being rivetted. The wheels and springs have been delivered to Herston. The water tank for the tender is also under construction. The boiler was originally sent to LNWR Crewe, but the cost for the overhaul there was prohibitive. 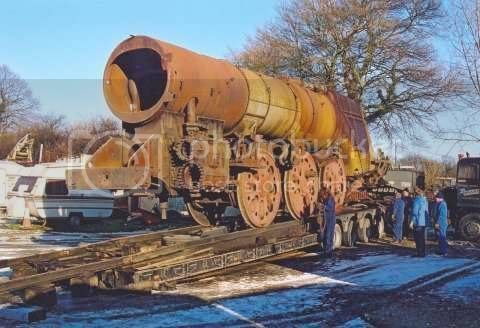 The boiler, therefore, has now been moved to the West Somerset Railway for overhaul there. This will be the most expensive part of the Restoration! Last edited by 34053 on Wed Mar 11, 2009 11:11 am, edited 3 times in total.